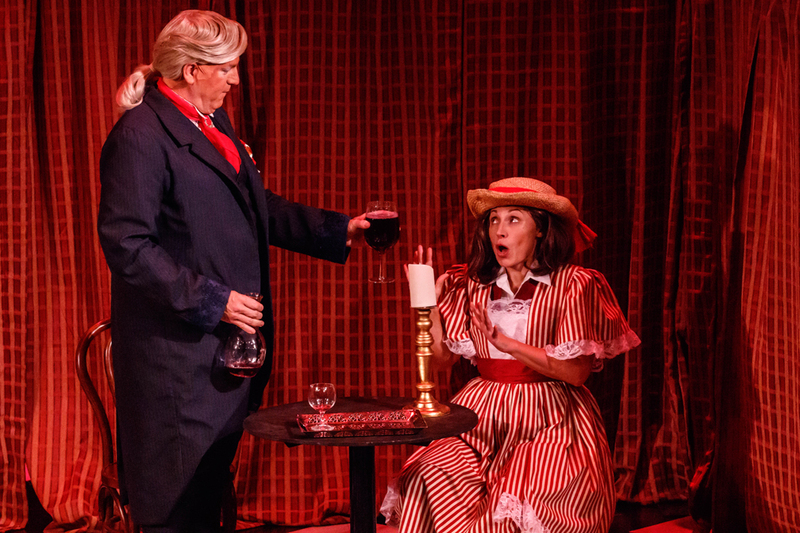 Melbourne Opera presents an evening of romance peppered with comedy in a handsome, well cast new production of Richard Strauss’ Der Rosenkavalier. The ambitious project is executed with great confidence and style. 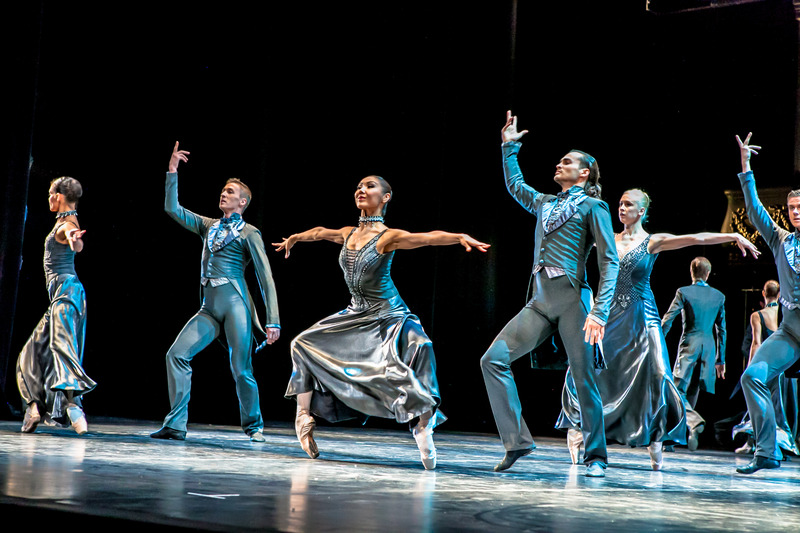 The bold, attractive design aspects are fully realised, and both stage and musical direction are at a premium. While the various elements are of high quality, the running time of over four hours (including two intervals) means that, in this case, it is possible to have too much of a good thing. The staging is directed with great confidence by Tama Matheson, who makes highly characterful use of the large company. The long list of characters is established with distinction, each, in their way, contributing to the very amusing comedy. 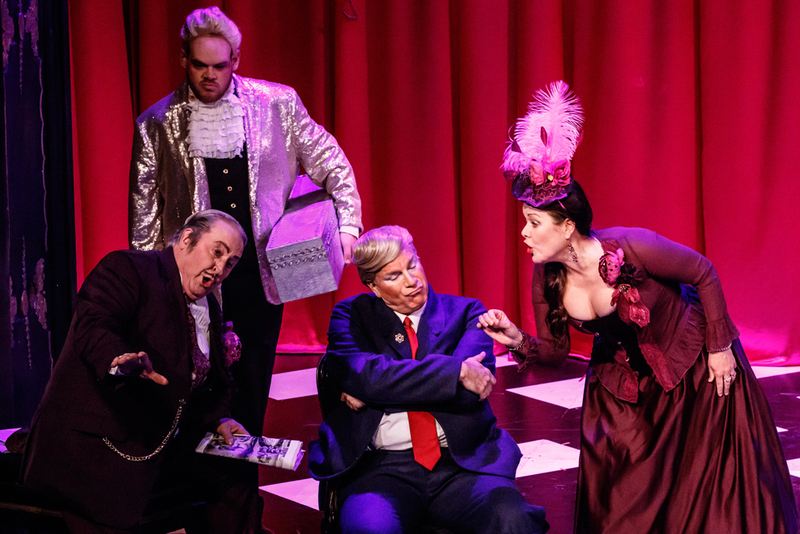 Although the inclusion of the United States’ buffoon of a President is a slightly overdone trope at this point, the lecherous, self-obsessed Baron Ochs is a perfect fit for his egregious attributes. The 18th century, Viennese setting is retained, with act one spent in the bedroom and salon of aging beauty the Marschallin (Lee Abrahmsen). 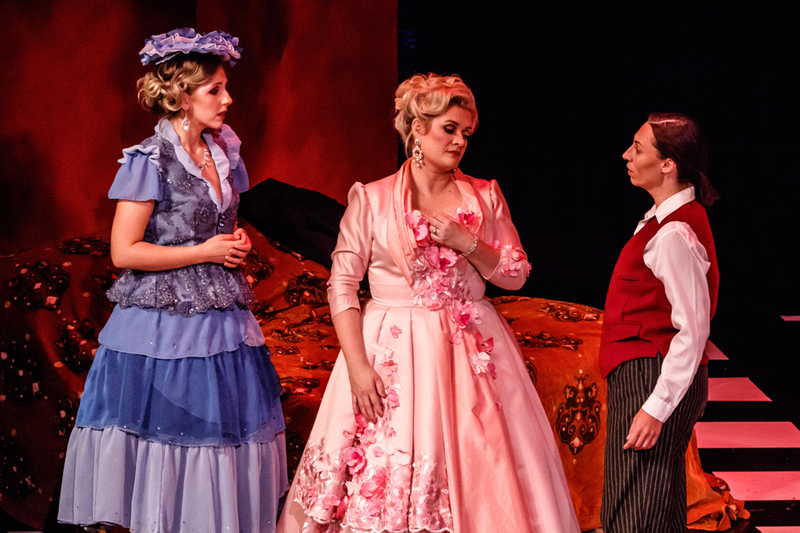 The Marschallin sends her young lover Octavian (Danielle Calder) as the Rosenkavalier (knight of the rose) for her bombastic cousin Baron Ochs (Daniel Sumegi), and is disappointed, yet unsurprised, when Octavian falls for Ochs’ intended bride Sophie (Anna Voshege). Melbourne Opera Orchestra is in excellent hands under the knowledgeable baton of maestro David Kram, who leads a sensitive rendition of Strauss’ ever-flowing music. The Baron’s favourite waltz tune is played with a lovely lilt. As is the custom at Melbourne Opera, the opera is sung in English with no surtitles; while the singing could be heard over the orchestra, and diction seemed clear, it was still difficult, from the dress circle, to tune the ear to comprehension of the lyrics. Producing some of her very best work, set designer Christina Logan-Bell sets the tone with a projected painting on a black scrim before each act. The curtain rises initially to the red-curtained bedroom of the Marschallin before the rear red curtain is drawn to reveal a gorgeous wall of red, pink and white flowers for the salon. Act two’s colour palette of teal blue extends even to the men’s powdered wigs. A rear teal wall is dotted with over two dozen classic paintings, and a gilded love seat is ensconced in an ornate, egg-shaped gazebo. Clever use is made of the Athenaeum’s Juliet boxes, both for more of Ochs’ “children” and for the visiting Tenor (a crowd-pleasing cameo from Henry Choo). 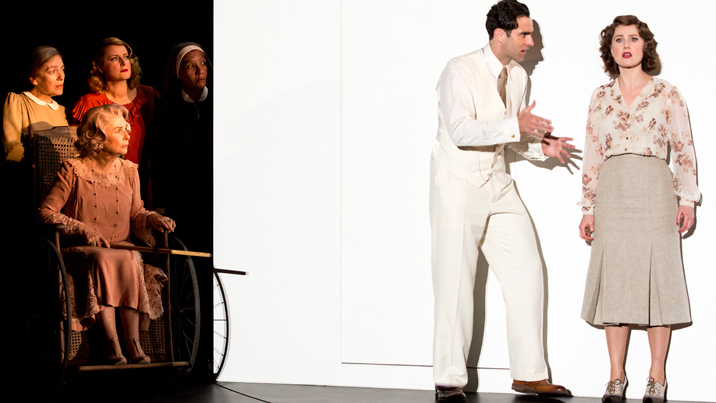 As well as showing a deft hand with the comedy, Matheson has ensured that romantic passion is prevalent in the performance. Kram’s conducting sets the tone musically, with strong support also coming from Lucy Birkinshaw’s nuanced lighting design. Lucy Wilkins’ costumes complete the appealing design. Colour palettes are very nicely coordinated, and the appearance of multiple Ochs-like “apparitions” is most amusing. Sophie’s powder blue gown with sparkling hem is a highlight, only outdone by the Marschallin’s stunning pink gown with cascading rose-embroidered panels. In excellent voice, Abrahmsen is perfectly cast as the Marschallin, her maturity as a performer taking the place of the actual age of the woman (as suggested by the storyline). 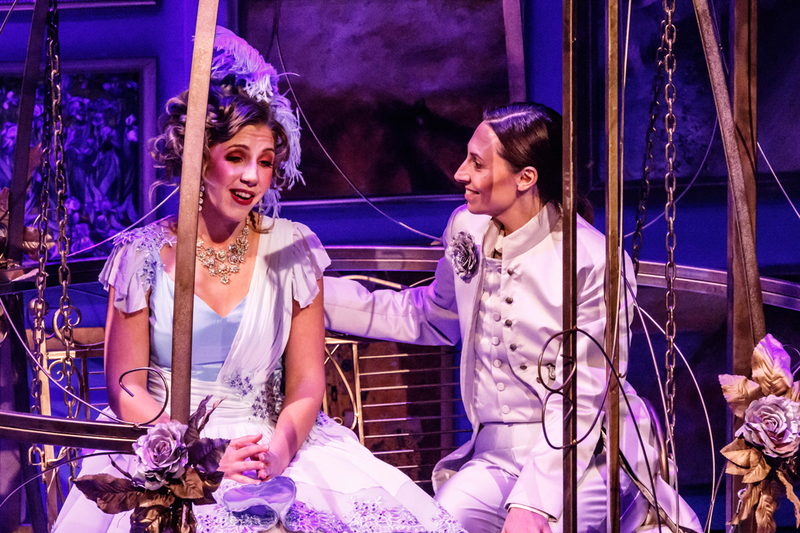 As the opera opens, Abrahmsen is in her element as she readily establishes a sumptuously romantic atmosphere. The tender conclusion of act one is truly beautiful. Abrahmsen’s presence is missed in act two, but the Marschallin’s involvement in act three brings the opera to a bittersweet conclusion. Booming bass Sumegi effectively stole the show as Ochs, his vocal power allowing his singing to be easily heard and comprehended over the orchestra. As well as achieving great physical humour, Sumegi benefits immensely from the English translation in terms of scoring laughs, and even a few gasps, with his role. The humour level peters out slightly at the end of the long second act, but is reignited by a final burst of energy when Ochs receives a missive from “Mariandel” (the disguised alter ego of Octavian). In a classy piece of casting, young soprano Anna Voshege shows great promise, giving a lovely performance as Sophie. While Voshege’s lyrics are not quite discernible over the orchestra, her vocal tone is a pleasure to hear, and she proves a most capable actress in balancing romance and comedy. The supporting cast members benefit immensely from Matheson’s direction, which creates unique, entertaining characters for all singers. 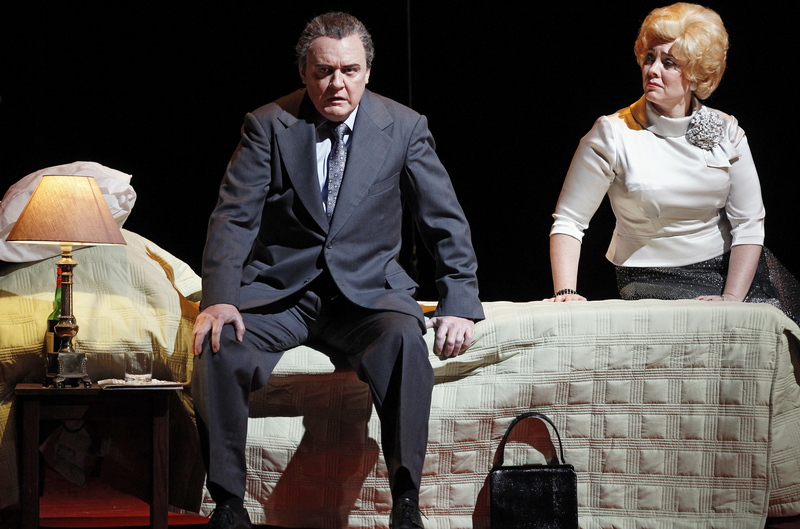 Baritone Simon Meadows is in commanding form as Sophie’s father, Faninal. 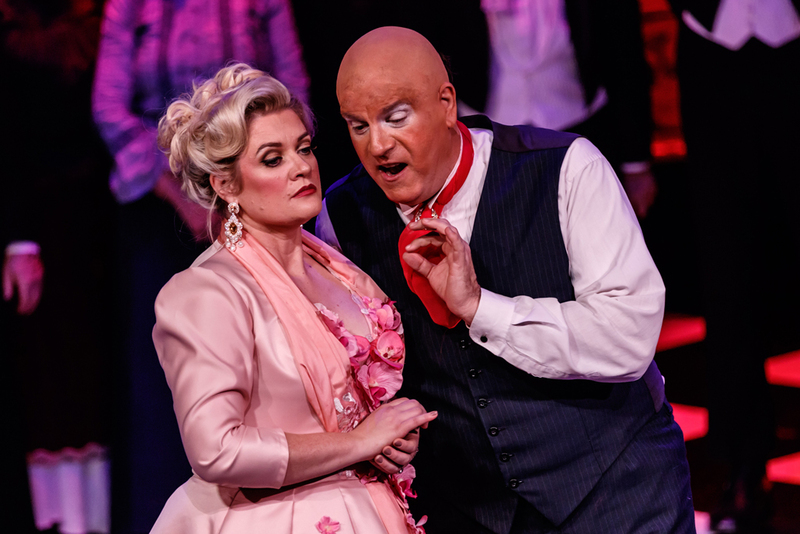 Mezzo-soprano Caroline Vercoe, who is always great value, shines as the devious Annina, giving a master class in remaining in character for every moment on stage. Not seen locally for many years, Der Rosenkavalier is a welcome sight in Melbourne’s 2018 arts calendar. Hardy opera lovers are bound to appreciate the season. 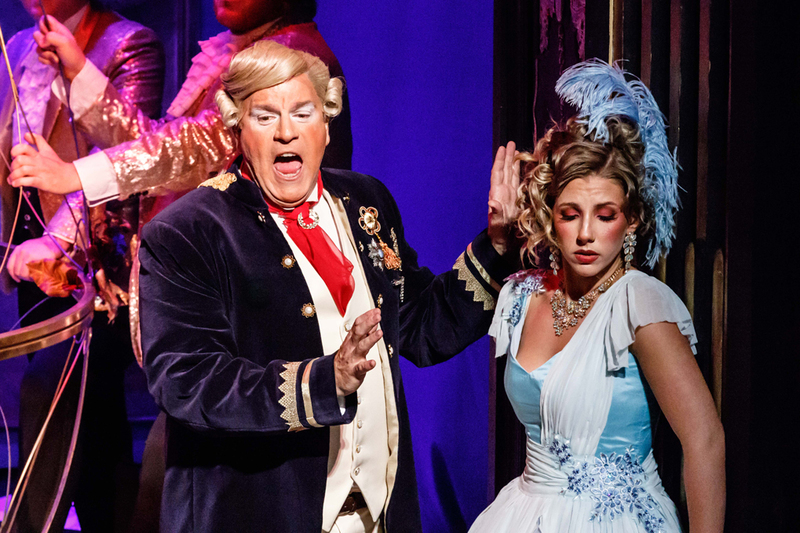 Der Rosenkavalier plays selected dates at Athenaeum Theatre, Melbourne until 17 August 2018.